Brooklyn starts to build relationships with the three guys even though Staten wants nothing to do with her. What is going on with the best three guys in the school, and why are they all in some way interested in Brooklyn? I thought this was a pretty good story. I liked the characters and the depth of Brooklyn. She had issues that she learned to come to terms with. Her shyness is a great addition especially when she starts to step out of her comfort zone. The three guys are good characters even with Bronx being a little over the top, but that is kind of the point of him. This is a clean reverse harem that says it is for 16+. This story works well on building up the relationship between the characters and the fun use of boroughs as a cuss word had me laughing. I am looking forward to reading the next book especially after the ending of this one. 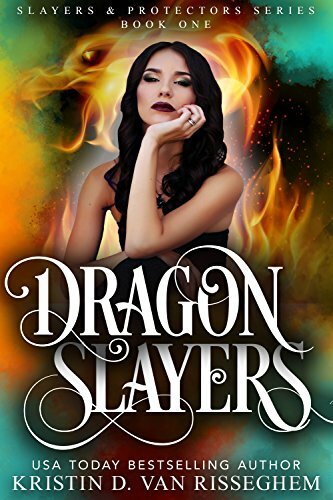 Check out Dragon Slayers here.